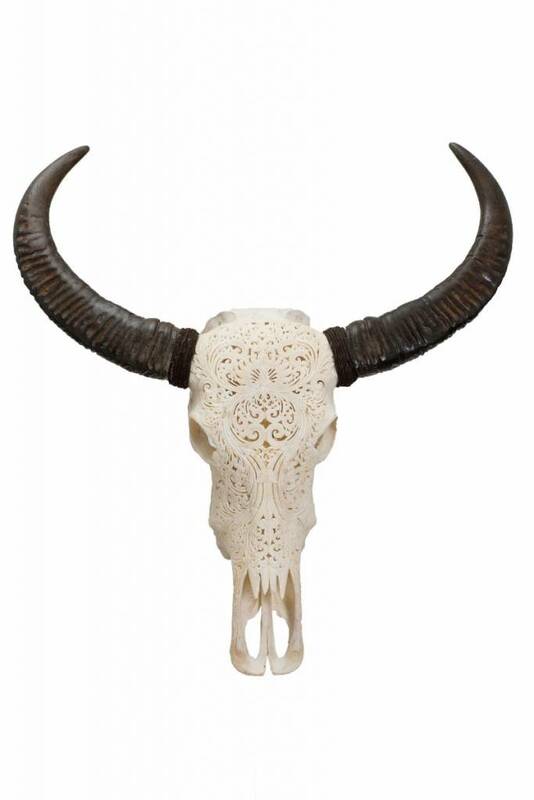 Each skull comes with real, beautiful horns which are shipped detached, so they don't damage the skull. Furthermore, it comes with barbwire on the back so it can easily be wall mounted. 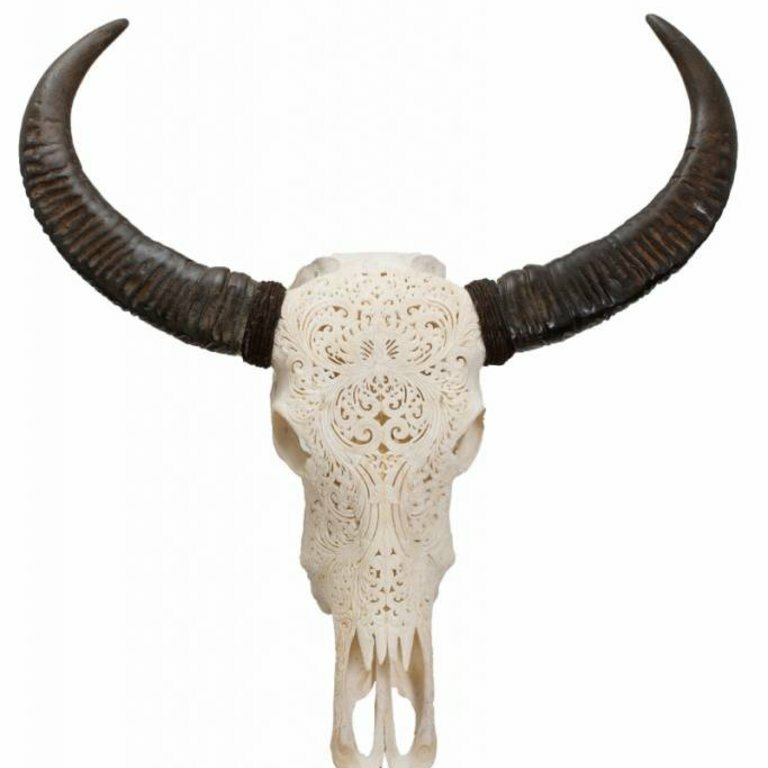 Also comes with stand, so the skull can sit independently as a sculpture and give a full 360 degree view. 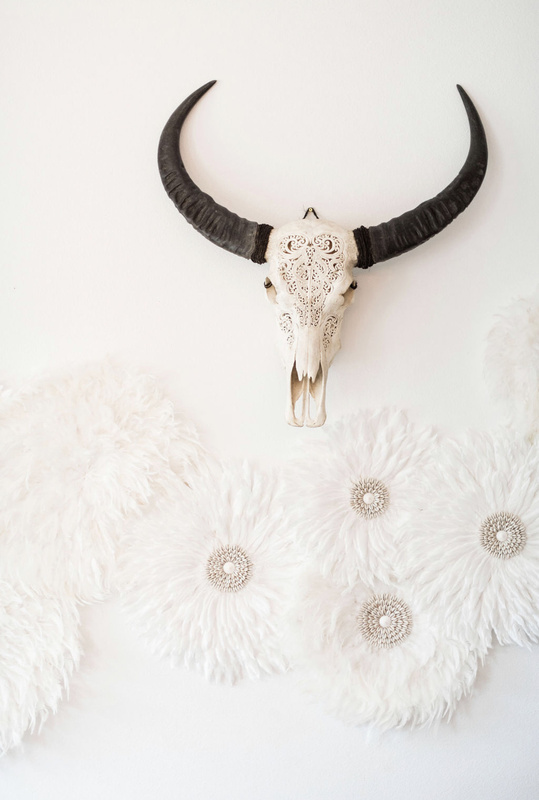 Balinese buffalo skull carving is a one-of-a-kind tradition. 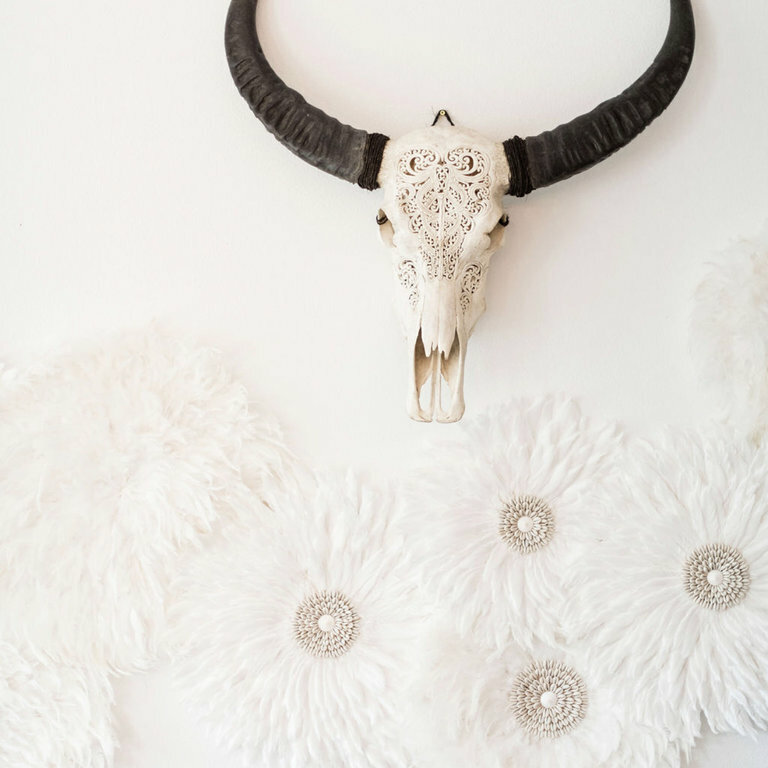 Each piece has its own one of a kind pattern. We are happy to send you additional photos of current stock, so you can see each specific pattern. Every design is unique. 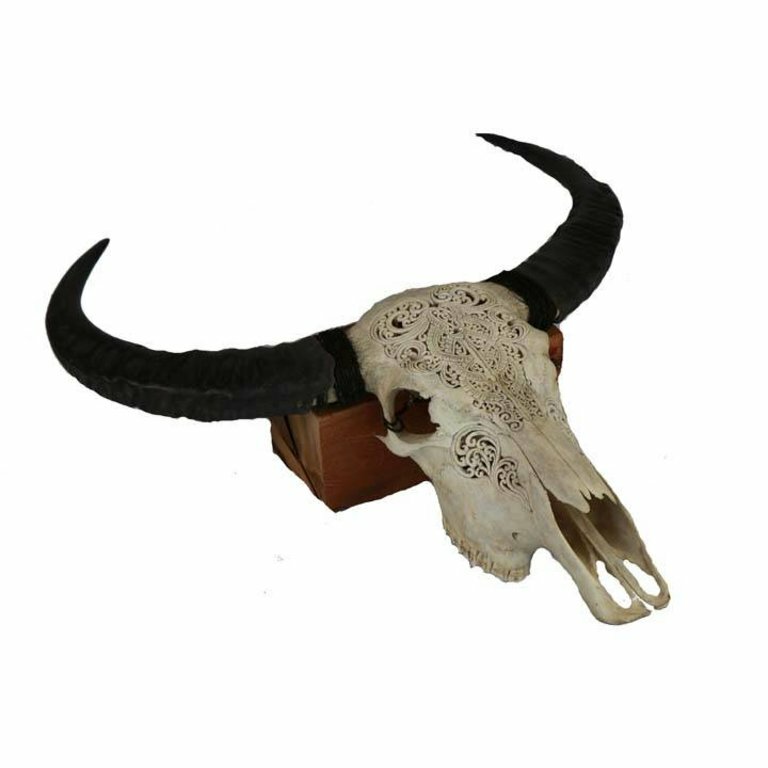 Balinese Artisan Carvers handcraft each piece for to make sure they create exceptional filigree that captures different feels for every skull carving. 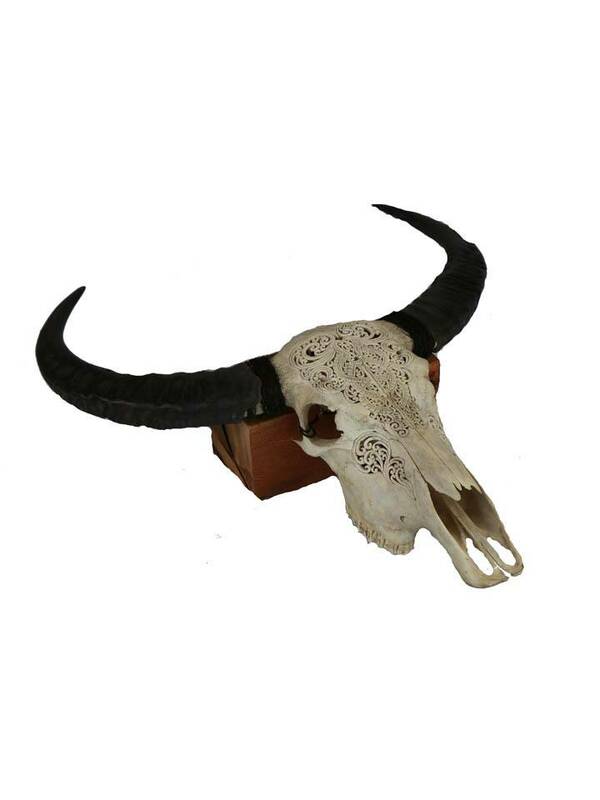 Dimensions Vary: Approximately 24"to 32" Tall, and Approximately 30" - 40" Wide. - We are happy to try to find one that fits best in your space. Please don't hesitate to call or email.